Sounds simple but to many it is not. At Seelye Auto Group we’ve committed our business to making sure our customer’s needs are always our top priority. Our mantra simply states: “Help as many people get what they want and, in the end, you will get what you want”. In a nutshell – “Work with a servant’s heart”. Probably not typical of what you would expect from an auto group but Seelye Auto Group isn’t run by typical car guys. From the top down, Mike Seelye – President and CEO; Mickey Seelye – Vice President and COO; and Kent Matthews – Managing Partner have instilled in our team the importance of making sure our customer’s needs are met. In years past it wasn’t always this way but when Mickey Seelye, grandson to Don Seelye, took over the day to day operations of the auto group, he made it his mission to build a team from the bottom up that made every customer our number one priority. Now that doesn’t mean mistakes will not be made and from time to time have clients who are not happy with the service we provide. Like every business on the planet we won’t “always” get things right. However, the difference at Seelye Auto Group is when we make these mistakes, we acknowledge them; apologize and go to work to make things right. Seelye Auto Group gets the fact we cannot be right all of the time but what we can be is true to what we believe: “Work with a servant’s heart”. Today so many people want to be served and no one wants to do the serving. When mistakes happen the first and foremost thing our team has been instructed to do is acknowledge the issue and do what ever is necessary to make a bad situation better. Sometimes that means doing things that are uncomfortable, like being humble and admitting fault. 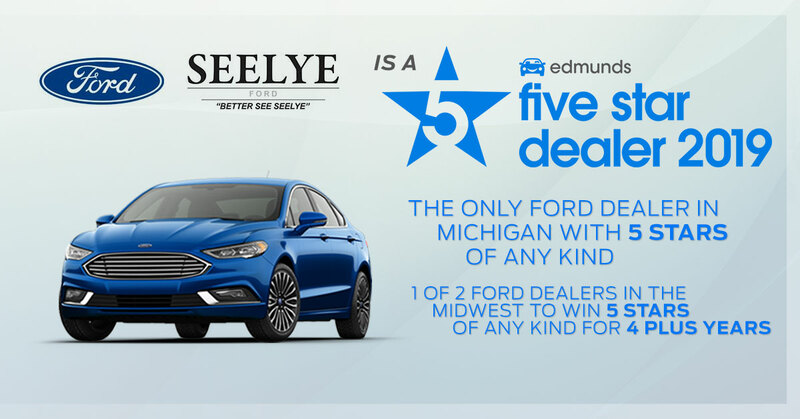 Since 2016 Edmunds.com, a trusted leader in the automotive vertical, has recognized the commitment Seelye Auto Group has made to this very thing. In 2016 Seelye Ford received it’s first Five Star Award for customer satisfaction and attained five Star status every year since including the highly regarded Premier Five Star Award in 2018. In 2017 Seelye Kia of Kalamazoo won it’s first of 3 Edmunds Five Star Awards. 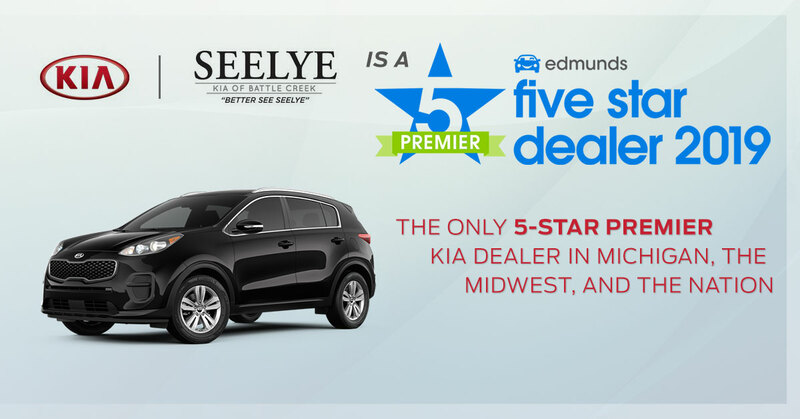 In 2017 Seelye Kia of Battle Creek won it’s first Five Star Award and in 2019 won it’s first ever Premier Five Star Award and is the only Kia dealership in the country to do so. 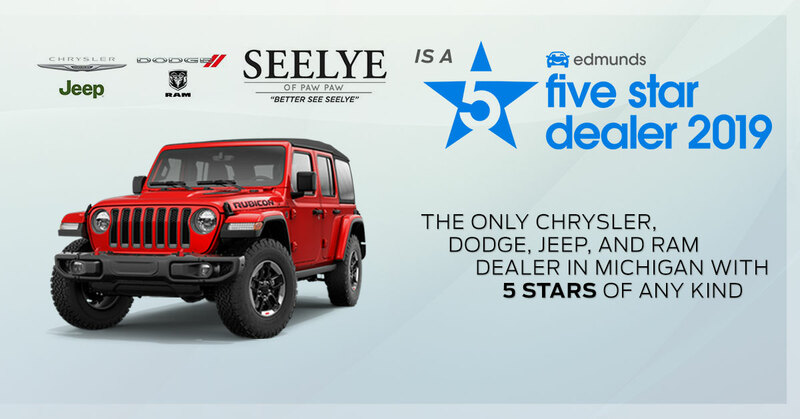 Finally, in 2019 Seelye Paw Paw won its first ever Edmunds Five Star Award. 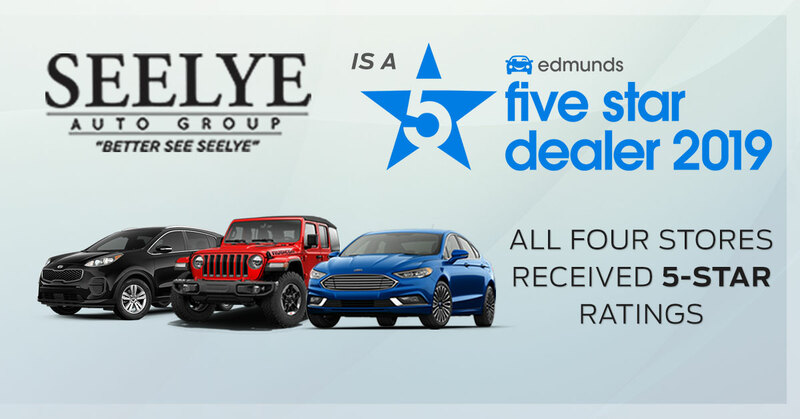 In all, since 2016, Seelye Auto Group has won 10 Edmunds Five Star Awards for customer satisfaction. This happens not by chance but from hard work and dedication to a customer first mindset. The voices of Southwest Michigan are who we have to thank for these honors. You only win these awards based on how well you serve your client’s needs. The only way to get this many people saying good things about a group of car dealerships is by being customer centric. Awards are great and Seelye Auto Group will always be thankful for them but our job is not done. We are committed to changing Southwest Michigan’s perception of how easy it is to do business with a car dealership. When you work to serve the accolades will come.